Express Modular is the only nationwide custom modular home builder in the U.S. What that means to you is that we have more experience than any other builder. We have built every style of modular home. We have built homes beside of lakes and on top of mountains. We have built farm hand homes, vacation homes, and every type of traditional home you can design. We have worked with architects to design homes and we have worked side-by-side with homeowners to help them design their own homes. We put that knowledge to work with every one of our customers. When you add it all up, we have the knowledge and experience you can trust to be your partner in building your new custom home in Iowa. A modular home is actually a stick built home that is built indoors. We take your custom design and we divide it up into sections or segments called modules. Each of these modules are built individually indoors in the factory. The quality and precision of indoor construction just can’t be beat. Your modular homes modules travel down an assembly line process as skilled craftsmen complete each step in the process. The materials used in your home are stored inside with your home, safe and dry away from the elements. There are inspections at each step in the process. Not only is compliance to building code checked but there are also quality inspections which just don’t happen with typical outdoor construction. Once completed, your homes modules are individually packaged and protected from elements. Once on your home site, the modules are unwrapped, lifted by a crane on to your foundation, and attached to your foundation and each other. Your modular home is stronger than a typical site built home because of the attachments, making it safer for you and your family in a storm. 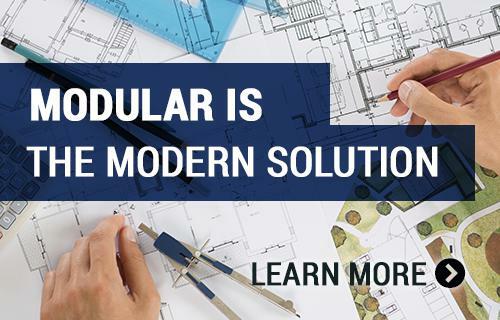 Modular construction offers flexible design to meet any style. It could be a cottage on Saylorville Lake near Harrold, a fishing cabin on the Des Moines River, a farm house near Dyersville, or any number of traditional designs placed anywhere in Iowa. We can design home with vaulted ceilings, large open spaces, high end kitchens, walk in showers, finished tile, and ready for virtually any exterior finish. Modular homes offer beauty and style at an outstanding value. Iowa stands in a class by itself as an agricultural state. It produces over $10 billion worth of crops and livestock annually. Iowa leads the country in corn, soybean, and hog production, and comes in third in total livestock sales. Although Iowa produces a tenth of the nation’s food supply, the value of Iowa’s manufactured products is double that of its agriculture. Major industries are food and associated products, electrical equipment, non-electrical machinery, fabricated products, and printing and publishing. The classic movie, “Field of Dreams” was filmed just outside of Dyersville, IA. Interested in building in Iowa? We have an extensive selection of modular home plans and a consultant for your area who is waiting to help you with every detail along the way. Let's get started!